Chinese New Year is filled with so many fun traditions. 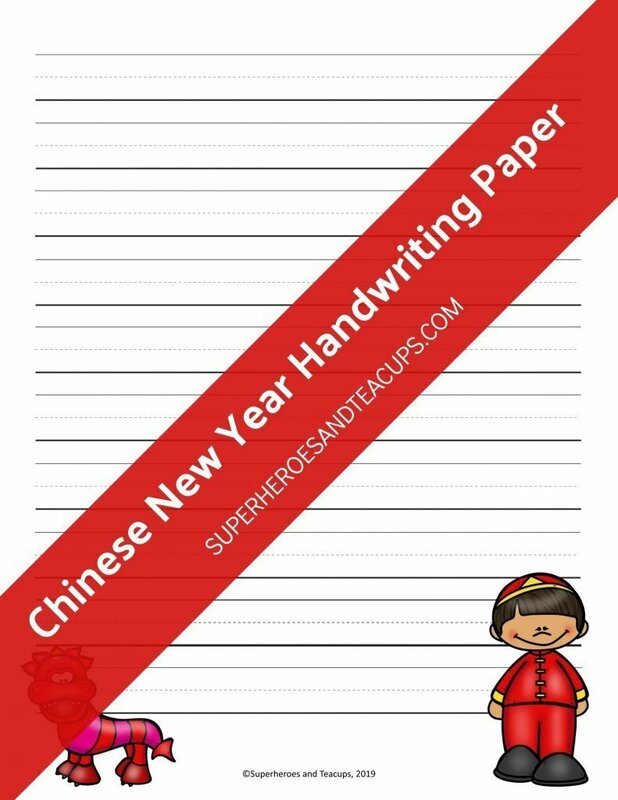 After your child has learned a little about the holiday, they can use this Chinese New Year handwriting paper to write about the tradition they find the most interesting. Children can use this printable handwriting paper in lots of other different ways too. They can practice letters, spelling words, vocabulary words, sentences, and more. Graphics for this printable purchased from Educlips and Dancing Crayon Designs.